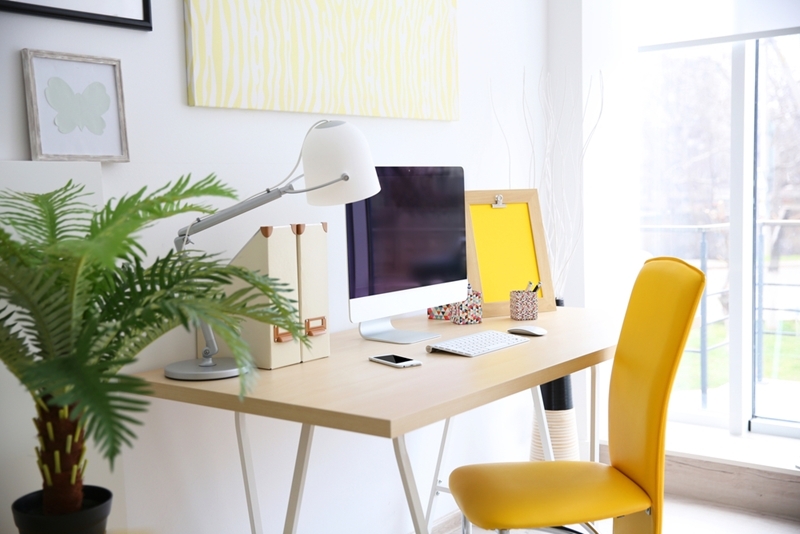 Choosing the devices you need for your home working space can be a daunting experience. Faced with so many options and functionalities you may quickly find yourself having to answer questions that you've never considered - what printing speed suits you best, will you ever need to use a fax machine and is colour scanning really essential? Multifunction printers (MFPs) can make your choice much simpler. Able to handle multiple office tasks in one compact device, these printers offer a raft of benefits for any home work space. So what exactly is an MFP and what are the advantages of installing one in your home? Multifunction printers have historically been seen as an office innovation to reduce hardware costs and increase overall productivity. But as the technology has developed and MFPs have become increasingly compact, dynamic devices, home users can now take full advantage of their benefits too. Whether you have a dedicated home office or you need to fit your work space into a corner of the kitchen, space is an important consideration. How can you squeeze in a printer and a scanner (maybe even a fax machine) around your laptop and cup of tea? Most home office areas are moderate to small in size and have to compete with many other necessary activities. So the possibility of squeezing in more than one bulky technological device is not appealing. This is one area where multifunction printers are a winner. MFPs provide all the services of a scanner, fax, and printer but in a manageable size that can fit even the most confined desk. For example, our Multifunction Epson EcoTank L405 weighs just 4.5 kg and is a mere 48.2 cm wide. Most home offices don't offer a lot of room for multiple devices. We understand that even the most dedicated home users don't have a limitless budget. Fortunately with multifunction printers you are getting more functionality for less. Though MFPs can be more expensive than stand-alone models, they are much more cost effective than the sum of a printer, fax machine and scanner. For example home scanners are around $100 and fax machines can cost anything upwards of $99. Meanwhile Epson's Expression® Home XP-340 multifunction printer is only $89 - it's easy to see which is the best deal. Not only are MFPs a smarter upfront buy, they are also more cost effective over their lifetime, as you'll learn below. This is particularly the case for households that have only the occasional need for scanning, copying or faxing and would otherwise have to payout for very limited usage. Furthermore Epson printers use up to 85 per cent less energy than their closest laser printer competitors. This is all down to the simplicity of our PrecisionCore ink jet technology, which, unlike laser printers, does not need to heat up a fuser to spray ink onto the paper. Not only does this dramatically reduce your lifetime running costs, it also helps cut down your office's energy footprint. With multifunction printers, not only are your devices all in one place ready to use, they can also work together in a way that stand-alone devices cannot. Having all your functionality in one device means that they cooperate fast and efficiently - so you can go from print to scan to copy with the touch of a button. With Epson's multifunction printer range you can also digitally store your scanned documents for printing later, making the whole process even more seamless. Powered by PrecisionCore, Epson's most advanced printhead technology, the Epson WorkForce WF3640 all in one printer ensures professional, industry-leading output and quality, peak productivity and durability that Epson is renowned for. On a practical level one device requires less servicing than three separate machines. If any repairs are needed, the process of fixing them is much simpler as it only has to be done once for the whole device. Similarly in one call out a professional can check each functionality and make sure all the aspects of your MFP will continue to work well. For those looking to avoid technical problems at all costs, our ink jet printers boast fewer moving parts than laser competitors; laser components such as the fuser, developer, imaging units and transfer belts that typically cause failure just don't exist in ink jets. This means that there is less chance of damage over time and so fewer repairs for you to deal with. Multifunction printers are intelligent networking devices that include the latest wireless and mobile usability features. All our Epson printers support Apple Airprint, Google Cloud Print and Epson iPrint, which means that you can connect to your home printer from anywhere in the world. Save time by remotely printing your holiday snaps or work documents, safe in the knowledge that they are ready and waiting for you when you get home. Multifunction printers don't sacrifice any of their device quality for the convenience of being all in one. Our multifunction printer range boasts world leading print technology, making them faster, smarter and higher quality than most standalone competitors. The WorkForce ET-4550 can fax as fast as three seconds per page, save up to 100 pages in memory and store up to 100 numbers. The WorkForce range can print at a staggeringly fast 100 pages per minute (ppm), compared to only 65-75 ppm from close competitors. If you're looking for a high quality multifunction printer for your home, find your nearest Epson supplier today.